Several members from the Rotary Club of Chattanooga Hamilton Place spent a Saturday morning serving at Bess T. Shepherd Elementary School. 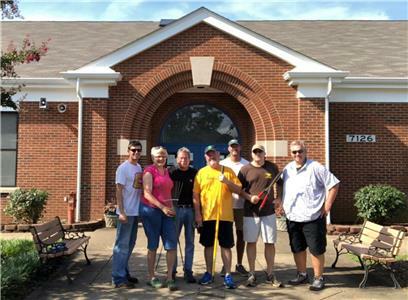 The Rotary Club received a $10,000 Rotary grant to fund four service projects at Bess. T. Shepherd. This was the first of those projects. 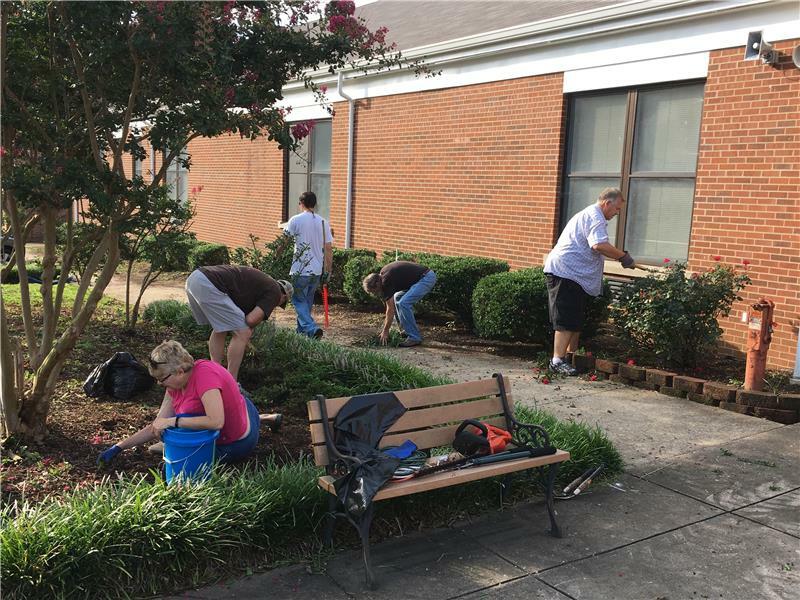 The tasks completed that morning were trimming shrubs, planting planters, repairing swing sets and fixing ruts under the swings, and spreading mulch.